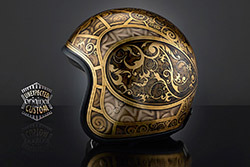 The typical illustrations of skeletons, skulls and references to the imaginary from 'fterlife' mix with the neo-Baroque rules of XVI and XVII century from Spanish import. 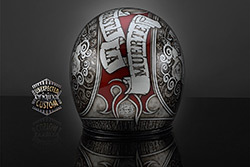 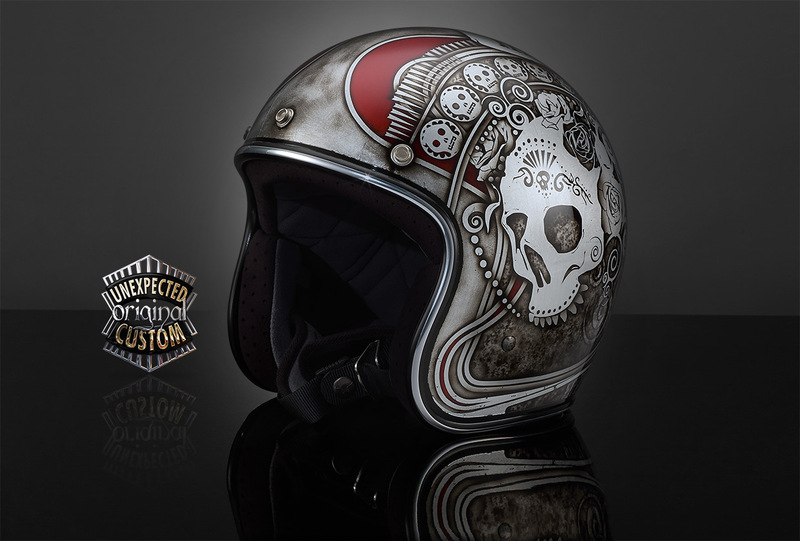 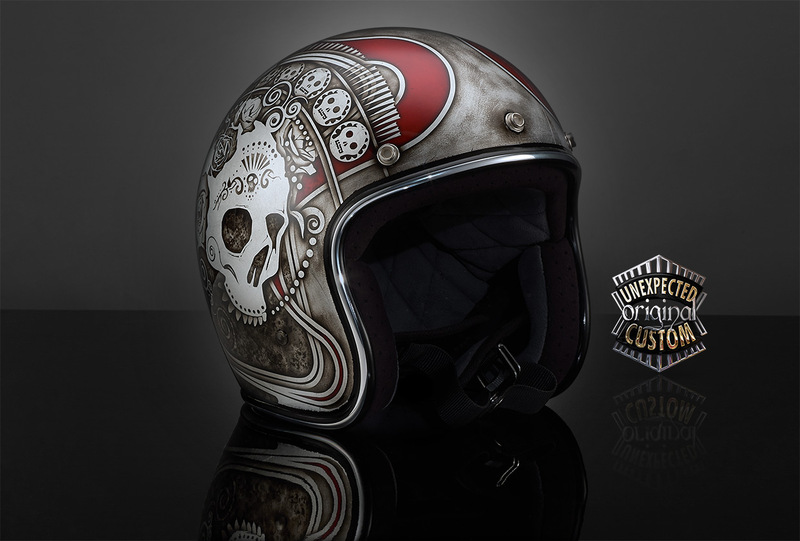 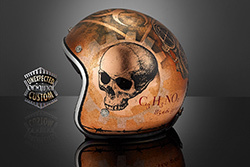 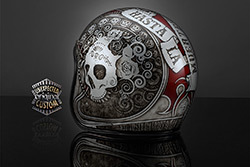 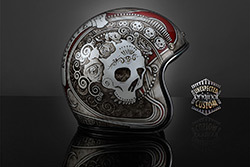 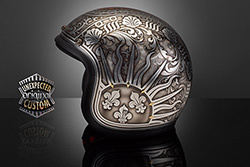 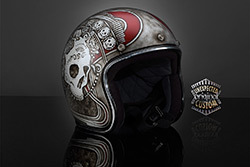 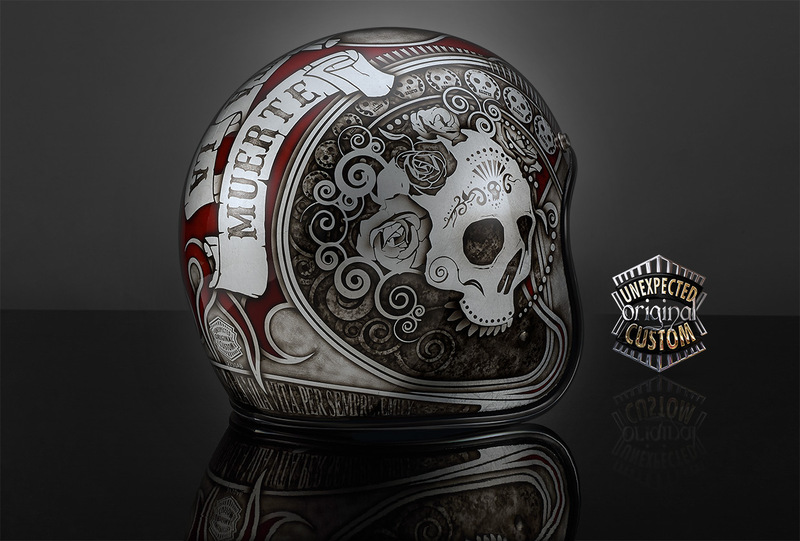 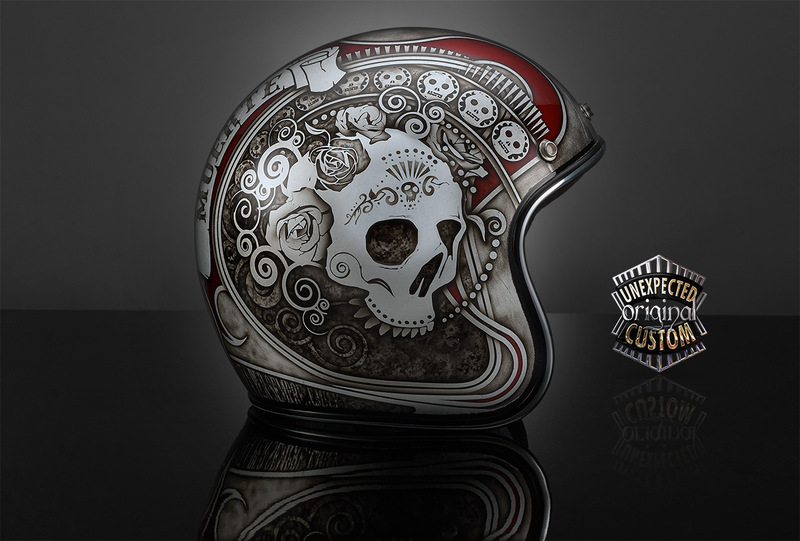 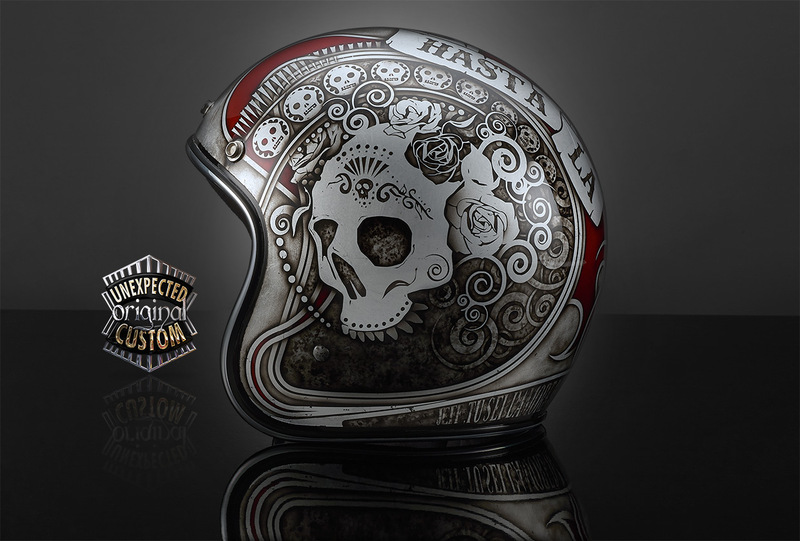 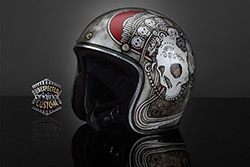 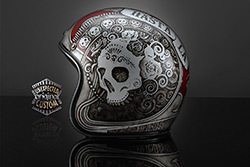 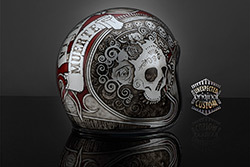 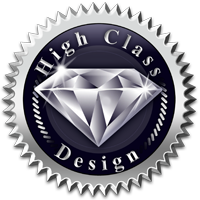 The design "Hasta La Muerte no.2" differs from the homonymous "Hasta La Muerte no.1" for the two skulls on the sides. 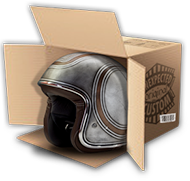 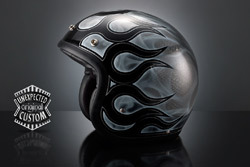 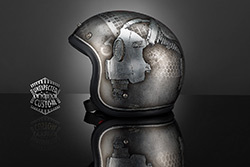 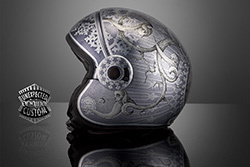 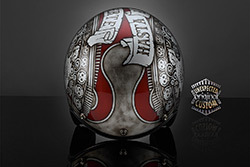 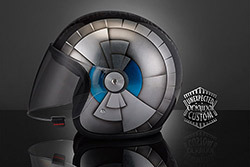 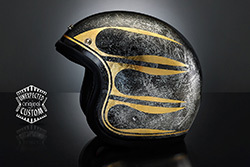 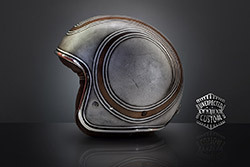 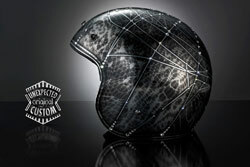 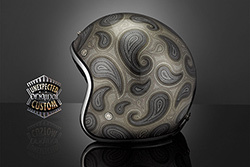 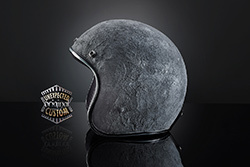 This Biltwell custom helmet is airbrushed with transparent and opaque blacks colours and transparent glass colours on the lid fully laminated in brushed silver leaf. 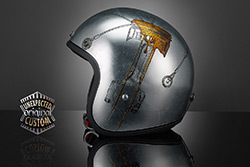 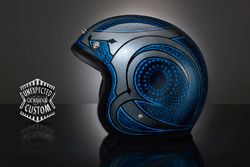 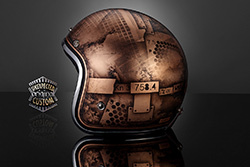 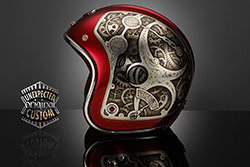 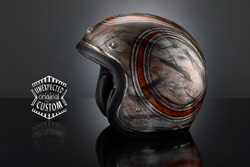 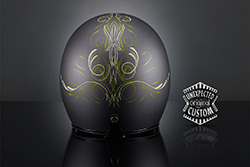 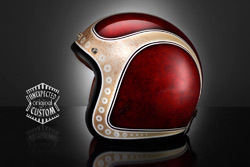 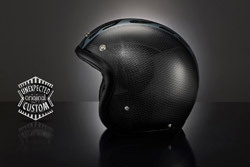 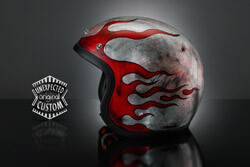 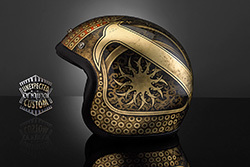 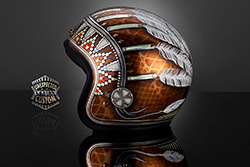 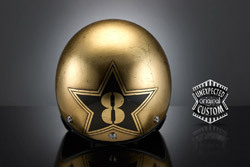 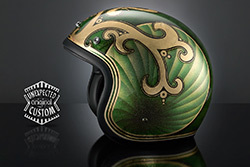 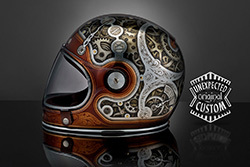 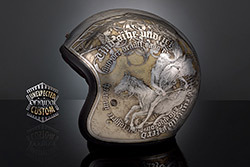 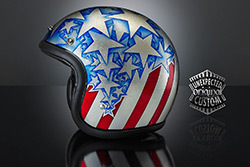 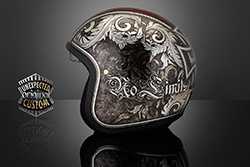 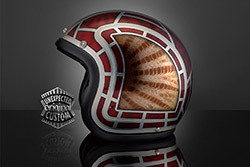 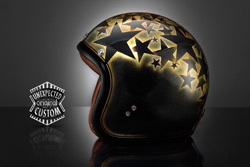 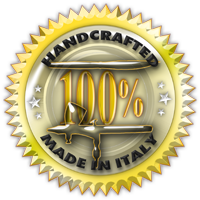 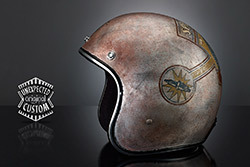 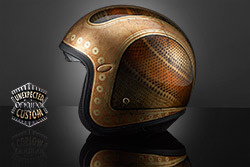 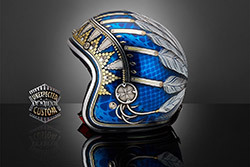 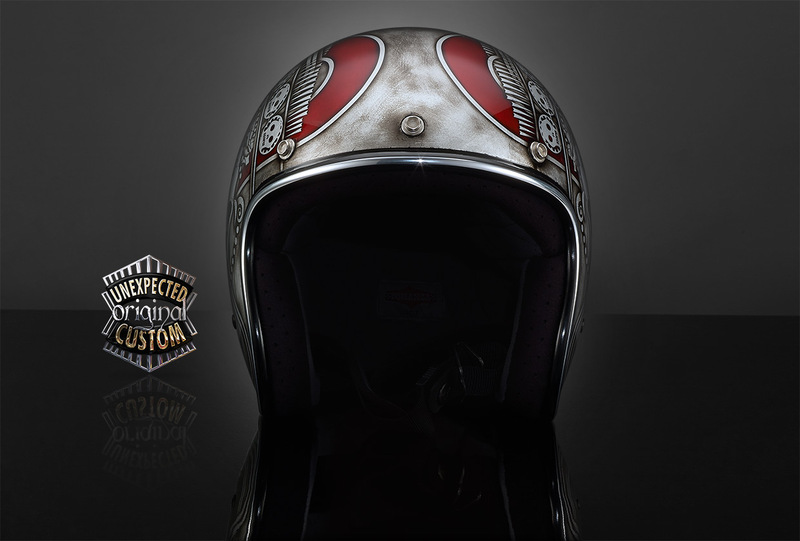 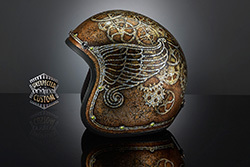 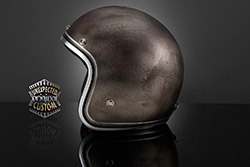 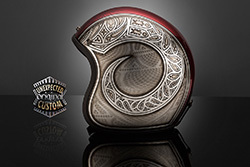 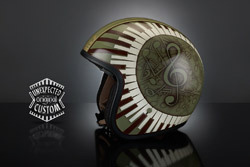 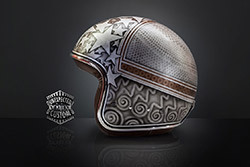 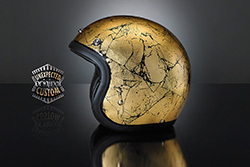 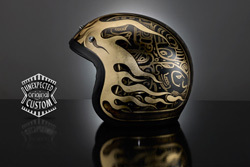 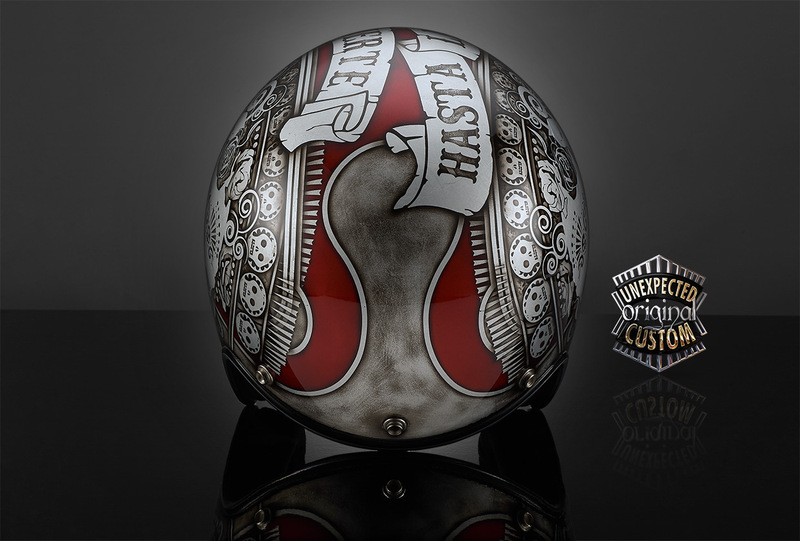 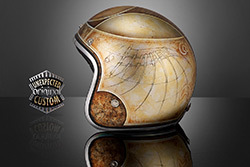 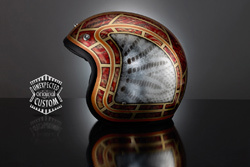 On the design achieved on this helmet custom Biltwell Bonanza has been added, on the crescent moon on bottom of the shell, a phrase requested by the customer.